The Rubbermaid Commercial Tack Box gives you an all-purpose storage container to keep your items safe on the work site, in the stable and on the water. The heavy-duty structural foam construction resists rust, dents, chips and peeling for long-lasting performance. 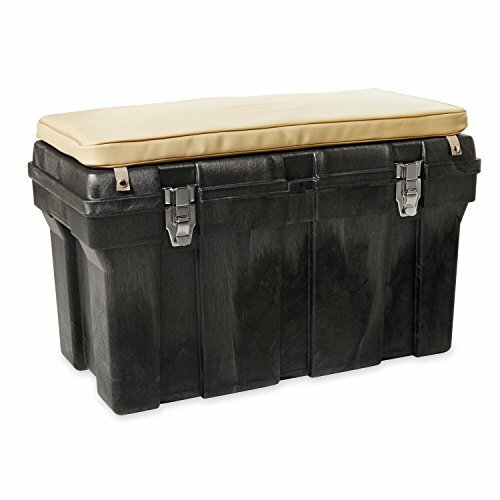 These tack boxes include two removable storage trays to fit small or large tools and a two-Inch padded cushion. This tack box is lockable for greater security. Padlock sold separately. The molded in-side handles make lifting easy and easily transports heavy loads.